NOW RENTING!!! CALL OR EMAIL FOR MULTI-DAY RATES! Click here to read why the LR2 is one of the best tools for focus pullers. 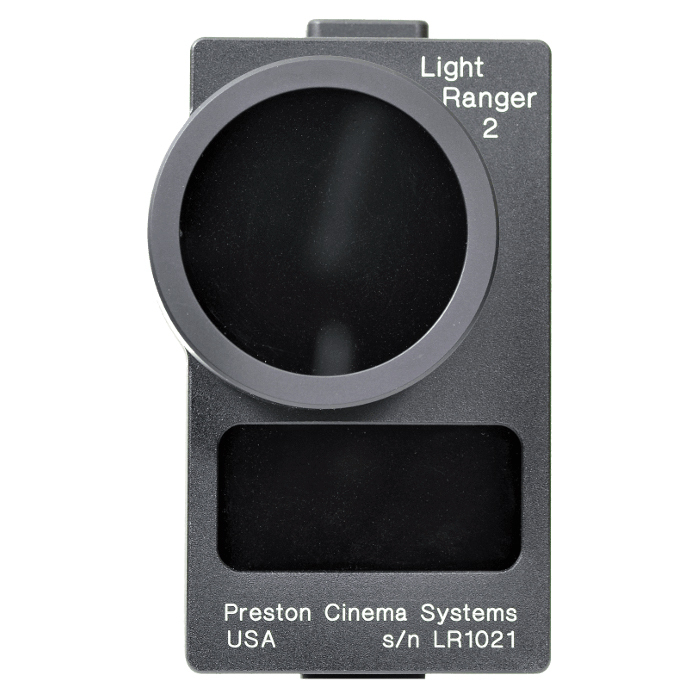 The Light Ranger 2 (LR2) focus assist system incorporates an infrared LED/sensor system with 16 distinct measurement zones, allowing the focus puller to visualize the depth of an entire scene without looking away from the monitor. Each of the 16 simultaneous distance measurements corresponds to a specific section of the image, and is represented with a green/white rectangle overlayed directly on top of the image at that location. The height of each bar corresponds to its distance in relation to the current knob setting of the HU3, giving immediate feedback to the focus puller for how to rotate the knob to bring any object into focus. White rectangles above the horizontal line on the monitor indicate the subject is further away than the current knob setting of the HU3, while rectangles below that line indicate a subject that is closer than the knob setting. Once the subject is within the depth of field (at the current HU3 knob setting), the rectangle(s) over that subject turn green. The LR2 is perfect for crane, car-to-car, dolly, steadicam, and other shots where the camera is moving. It also excels in low-light and any other shot with extremely shallow depth-of-field.